In the past few months, Palestinian Authority (PA) and Fatah officials, headed by PA President Mahmoud 'Abbas, have continued to hold events and receptions honoring terrorists who carried out attacks, including against Israeli civilians, primarily during the period of the Second Intifada. These activities have included meetings with released prisoners, awards and decorations for prisoners' and martyrs' families, praise for the mothers of terrorists and martyrs, condolence calls to the families of terrorists, participation in ceremonies in memory of martyrs, and more. This report will present examples from the recent months of PA and Fatah support, both institutional and moral, for terrorists and for the armed struggle against Israel. In recent months, PA President Mahmoud 'Abbas frequently participated in events at which he expressed support for prisoners and martyrs. On July 23, 2018, at a Ramallah ceremony honoring Palestinian prisoners and martyrs, during which he awarded medals to the families of the martyred prisoners and to released prisoners, he referred to the martyrs and prisoners as "pioneers" and "stars in the sky of the Palestinian people's struggle" who "have a top priority in everything," and stated that the payments to them and to their families would continue. He said: "We will neither reduce nor withhold the allowances of the families of martyrs, prisoners, and released prisoners, as some want [us to do]; if we had only a single penny left, we would pay it to families of the martyrs and prisoners." Fatah Central Committee Secretary-General Jibril Rajoub described the prisoners as the sector "that has been the most important and vital in confronting the occupation for the past 51 years." On April 23, 2018 'Abbas met with a group of released prisoners who had been incarcerated in Israeli prisons for 15 years or more. One of them was Rafat Al-Jawabra, a former commander in Fatah's military wing, the Al-Aqsa Martyrs' Brigades, in Bethlehem, who was responsible for a series of shootings and for a suicide attack in the Jewish settlement of Efrat during the Second Intifada. Al-Jawabra was jailed in 2002, and was released in late 2017 after serving a 15-year sentence. Following his release, Mahmoud 'Abbas and Fatah held a festive reception for Al-Jawabra who, while still in prison, was elected to head the local council of the West Bank village of Al-Doha. During the reception, 'Abbas congratulated the released prisoners, saying that "the problem of the prisoners is the problem of the entire Palestinian people... The subject of the prisoners is a top priority for the Palestinian leadership, which invests every possible effort with international organizations and institutions and with the international community in order to ensure their release from the prisons of the Israeli occupation so that they will participate in the building of the independent Palestinian state whose capital is East Jerusalem." The head of the commission is directly responsible to ensure that the terrorist prisoners and released prisoners receive the monthly salaries prescribed by the 2004 PA Law of Prisoners and Released Prisoners and the ensuing regulations. "[T]he Palestinian leadership - led by [PA] President Mahmoud Abbas and [PA] Prime Minister Rami Hamdallah - will make every effort for the prisoners, the released prisoners, and their families... we must not give in to the American and Israeli pressure on all that is connected to the salaries of the Martyrs and the prisoners." The struggle in Syria is between two all-embracing outlooks - the pan-Arab one and the pan-Islamic one. Pan-Arabism is represented by the ruling Baath party headed by Bashar al-Assad, while pan-Islamism is represented by the groups fighting in the name of Islam. These are two absolute ideological positions; they inherently reject compromise and engage in total war while thoroughly negating the other. The pan-Arab stance in Syria could not accept Kurdish nationalism. The Kurds had either to be Arabs or not be at all. Because they insisted on not being Arabs, their Syrian citizenship was revoked. Seen in this light, the Jews are the "Kurds" of the Palestinians. The Palestinian attitude toward the Jews is one of total rejection. That is why they are not prepared to recognize Jewish nationalism, deny that we have any connection to Jerusalem, assert that the Temple did not exist and was never built, and proclaim that Jesus was a Palestinian. The Palestinians see themselves as part of pan-Arabism and their role is to liberate their sector as part of the overall pan-Arab struggle. The current Palestinian demand for recognition as an independent state is inauthentic. The Palestinian National Charter does not include a single article calling for the establishment of a Palestinian state. The first article states: "Palestine is...an indivisible part of the Arab homeland, and the Palestinian people are an integral part of the Arab nation." The struggle between Fatah and Hamas, which is grounded in the Muslim Brotherhood movement, is simply part of the struggle between pan-Arabism and pan-Islamism. Nasser Laham, editor-in-chief of the Ma'an news agency, which represents the mainstream of the Palestinian Authority, said in January: "It is forbidden for us to make the slightest concession, we want all of Palestine....We will fight until America is defeated, until Israel is defeated." Laham is not expressing an extreme position but the mainstream Palestinian position. The three-day visit to Israel this week by President Trump’s National Security Advisor – John Bolton – indicates Jordan will replace the Palestine Liberation Organisation (PLO) in concluding negotiations with Israel to resolve territorial sovereignty in Judea and Samaria (West Bank), East Jerusalem and Gaza (”the disputed territories”) under Trump’s peace plan. Bolton’s visit follows a former Jordanian ambassador – Walid Sadi – last week signalling Jordan is ready to fill the diplomatic void following the breakdown of Israel-PLO negotiations unsuccessfully conducted during the last 25 years. The PLO refuses to negotiate on Trump’s plan. 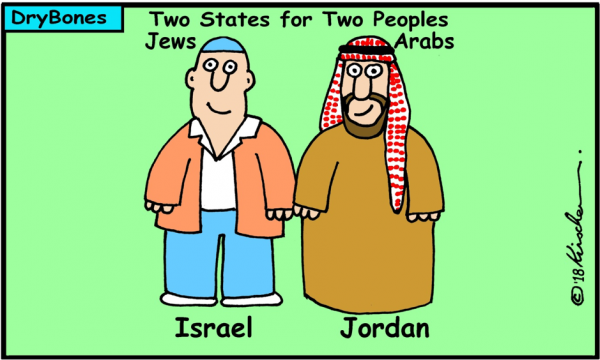 Two peoples – the Arabs and the Jews – need two states – not three – in former Palestine. U.S. National Security Adviser John Bolton said that while there's been "a lot of progress," the Trump administration has no timetable for rolling out its much-anticipated Mideast peace plan. He refused to speculate what the plan entailed or when it may be publicized. Speaking at a news conference in Jerusalem on Wednesday, Bolton also touched on Iran, saying "regime change in Iran is not American policy. But what we want is massive change in the regime's behavior." He said the U.S. would do "other things" to put pressure on the Shiite regime, beyond economic sanctions and called Israeli air strikes on Iranian missiles inside Syria legitimate acts of self-defense. In an interview with Reuters, Wedneday, Bolton said reimposed U.S. sanctions on Iran have been more effective than expected. Speaking at a campaign rally in Charleston, West Virginia, Trump said Palestinians “will get something very good” in any future negotiations. “If there’s ever going to be peace with the Palestinians, then this was a good thing to have done,” Trump said of the recognition of Jerusalem and the relocation of the US embassy to the capital. A top adviser to US President Donald Trump said on Wednesday that there was no “quid pro quo” involved in the US decision to move its embassy to Jerusalem, hours after the president said that Israel will pay “a higher price” in peace talks with the Palestinians due to his recognition of the city as the Jewish state’s capital. Speaking to reporters near the end of his three-day trip to Israel, John Bolton said the president’s comments did not represent a change in the administration’s policy on peace negotiations or on Israel’s need to make concessions. On Tuesday night, Trump told a campaign rally in Charleston, West Virginia, that the Palestinians “will get something very good” in any future negotiations in return for the US having recognized Jerusalem as Israel’s capital. Bolton echoed the president in saying that the decision had removed Jerusalem as a contentious issue. Regional Cooperation Minister Tzachi Hanegbi said Wednesday that Israel will “push back against dictates or pressure,” after US President Donald Trump said it will pay “a higher price” in peace talks with the Palestinians due to his recognition of Jerusalem as the Jewish state’s capital. Trump told a campaign rally in Charleston, West Virginia, on Tuesday that the Palestinians “will get something very good” in any future negotiations in return for the US’s recognition of the Israeli capital. US President Donald Trump's statement that Israel will pay a "high price" in its negotiations with the Palestinians because it won something "very big" with America's relocation of its embassy to Jerusalem brought joy Wednesday to the Israeli Left, which praised him. Addressing a rally in West Virginia, Trump said that the Palestinians would soon "get something very good" in return for the May embassy move "because it's their turn next." Zionist Union MK Amir Peretz said that "when dealing with a president who thinks like a businessman it was clear it would only be a matter of time until he asked for something in return" for the embassy move. "No one can claim that this is a hostile president with demands that are not legitimate," Peretz said in a reference to statements made about Trump's predecessor, Barack Obama. "Netanyahu cannot deny the need to make courageous decisions. Solving the dispute and dividing the land into two states for two peoples is not a deal with the US but an Israeli interest that will allow our state to remain both Jewish and democratic." His Zionist Union colleague, MK Eitan Cabel, said it was "time for the Right to wake up from its misconception that if Israel will merely keep waiting, the diplomatic issue will resolve itself." He said Israel should preempt Trump's plan with steps to save the two-state solution like freezing construction in isolated settlements and compensating those willing to leave them. On the Right, Bayit Yehudi MK Moti Yogev said Israel must tell Trump that just like he realized Jerusalem belonged to Israel, the rest of the Land of Israel also belongs to the Jewish state and must remain under Israeli sovereignty forever. The only “compensation” the US could provide to the Palestinians for its Jerusalem moves would be recognition of “the State of Palestine” with East Jerusalem as its capital, a senior diplomatic adviser to Palestinian Authority President Mahmoud Abbas said on Wednesday. At a rally in West Virginia on Tuesday, Trump said that he took competing claims over Jerusalem, one of the conflict’s most intractable disputes, off the table by recognizing the city as Israel’s capital and moving the American embassy there. US President Donald Trump’s national security adviser John Bolton on Wednesday said the administration wasn’t discussing potential recognition of Israel’s claim to sovereignty over the Golan Heights, despite reported pressure from Jerusalem to make the move. 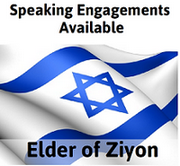 Israel captured the Golan Heights from Syria in the 1967 Six Day War and annexed the territory in the early 1980s. But the United States and the international community have long refused to recognize Israeli sovereignty there and considered it Syrian territory under Israeli occupation. “I’ve heard the idea being suggested but there’s no discussion of it, no decision within the US government,” Bolton told the Reuters news agency in an interview published Wednesday morning. “Obviously we understand the Israeli claim that it has annexed the Golan Heights – we understand their position – but there’s no change in the US position for now,” he said. Israel has asked the United Nations to reinstate its Disengagement Observer Force on the Syrian side of the Golan Heights border, outgoing Northern Command Chief of Staff Brig. 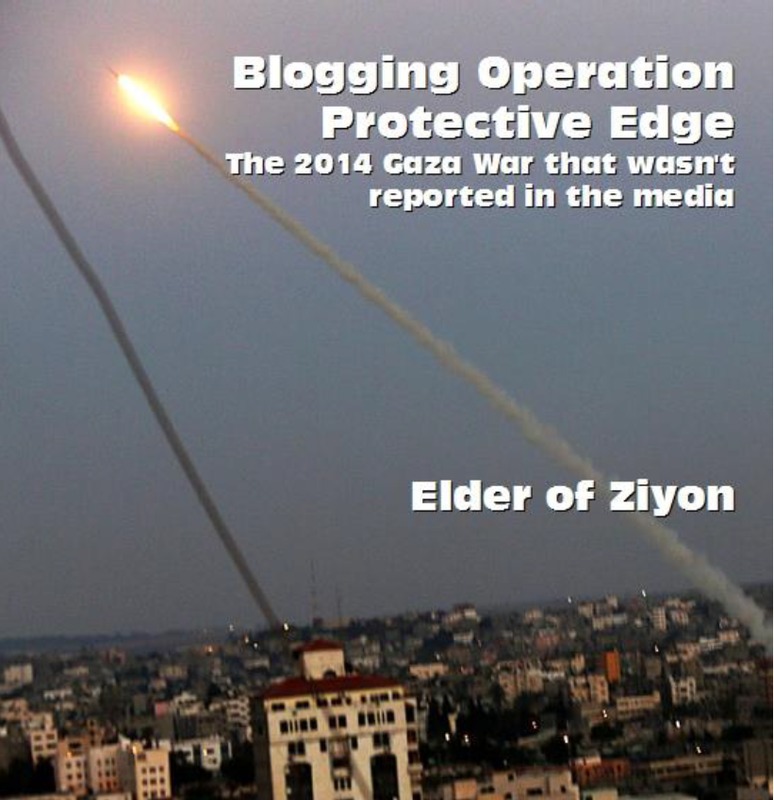 Gen. Asher Ben-Lulu has confirmed to Israel Hayom. UNDOF peacekeepers were first deployed on both sides of the Golan Heights border in 1974 as part of the Separation of Forces Agreement between Israel and Syria after the 1973 Yom Kippur War. Under the agreement, UNDOF is the only force authorized to be in the buffer zone, and its role is to monitor the military presence of both sides near the border. However, UNDOF abandoned two-thirds of its border positions on the Syrian side four years ago, after 45 Fijian peacekeepers were kidnapped by members of the al Qaida-affiliated Nusra Front. Seventy-two other Filipino UNDOF troops were trapped but managed to escape. Ever since the withdrawal, UNDOF troops have largely been stationed on the Israeli side of the Golan Heights border, where they report to the U.N. on the movement of IDF forces. One small UNDOF stronghold stayed in territory that remained under Syrian President Bashar Assad's control. An Israeli lawmaker and former ambassador to the US played down recent comments by President Donald Trump regarding the “price” Israel would have to pay in negotiations with the Palestinian Authority, calling the Trump White House the “friendliest” administration Israel has ever known. On Tuesday night, President Trump told supporters at a rally in West Virginia that he expected Israel would have to pay a “higher price” in negotiations with the Palestinian Authority following America’s recognition of Jerusalem as Israel’s capital city, and the subsequent relocation of the US embassy. "If there's ever going to be peace with the Palestinians, then this was a good thing to have done," Trump said on the embassy move. "We took it off the table. In past negotiations, they never got past Jerusalem becoming the capital. So I said 'let's take it off the table'. And you know what? In the negotiations, Israel will have to pay a higher price, because they won a very big thing. But I took it off the table." "But they [the Palestinian Authority] will get something very good next, because it's their turn next. We'll see what happens. It's very interesting." While the comment led some Israeli lawmakers to express concern, Deputy Minister in the Prime Minister’s Office Michael Oren (Kulanu) played down the president’s remarks, calling his administration the “friendliest” Israel has ever known. Hanegbi’s remarks came following Trump's comments that Israel will have to pay a high price in negotiations with the Palestinians for his decision to recognize Jerusalem as Israel's capital and move the US embassy there. Trump, speaking at a campaign rally in Charleston, West Virginia on Tuesday, said that recognizing Jerusalem was a “good thing to have done,” but that Israel will pay “a higher price” in peace talks with the Palestinians due to this decision. “We took it [Jerusalem] off the table. In past negotiations, they never got past Jerusalem. Now Israel will have to pay a higher price, because it’s off the table. The Palestinians will get something very good, because it’s their turn next,” he said. Bolton's comments came at a press conference on the final day of a three-day visit to Israel dominated by talks with Prime Minister Benjamin Netanyahu and other top Israeli officials about Iran and Syria. “It was not a question of where they would be inside Syria,” Bolton said, referring to the current 85km buffer zone from the Israeli border from where Moscow said they have pushed back Iranian forces and Shia militias. “We were talking talking about the complete return both of regular and irregular Iranian forces,” Bolton said, adding that Putin declared he could not do it himself. “So the point was that perhaps joint US-Russian efforts might be sufficient. Now I don't know if that is right either, but it is certainly one of the subjects I will be talking about with my Russian counterpart in Geneva tomorrow.” Bolton is scheduled to meet with Nikolai Patrushev for follow-up talks to the Trump-Putin summit last month. Defense Minister Avigdor Liberman met Monday with US President Donald Trump’s National Security Adviser John Bolton in Jerusalem, and praised the Trump administration for giving Israel “significant maneuvering room” to operate against its enemies. According to Liberman’s office, he and Bolton discussed a range of security issues, among them Iran, Syria, Lebanon and the Gaza Strip. “We have a very supportive president in the White House and a very supportive administration and this gives us significant maneuvering room vis a vis our enemies to the north and south,” Liberman’s office quoted him as saying. “Thank you John for your great contribution to Israel’s national security,” he told Bolton. On his Facebook account, Liberman wrote he showed Bolton a map of all the underground tunnels in the Gaza Strip destroyed by Israel. “This is a tremendous operational intelligence accomplishment that was achieved thanks to the creative genius of the members of the security establishment,” he wrote in Hebrew. Likud voters are unhappy with the Egyptian-brokered ceasefire with Hamas in the Gaza Strip, but that would not hamper Israeli Prime Minister Benjamin Netanyahu’s chances of victory if new elections were held now, according to a Walla poll published on Tuesday. The poll found that 41 percent of Likud voters opposed the Gaza ceasefire, which went into effect last week, after several Hamas-instigated rounds of violence in recent months nearly devolved all-out war on Israel’s southern border. 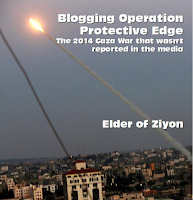 Only 28% of backers of Israel’s ruling party supported the ceasefire. Among the general Israeli population, the margin was similar, with 40 percent opposing the ceasefire, and 27 percent supporting it. If elections were held today (as of now, the next Knesset elections are scheduled to take place in November 2019), Netanyahu’s Likud would take 33 seats (up from its current total of 30), the poll said. Defense Minister Avigdor Liberman met with Qatari Foreign Minister Mohammed bin Abdulrahman al-Thani in Cyprus two months ago, an Israeli report said Wednesday, amid efforts to hammer out a ceasefire agreement between Israel and the Hamas terror group in the Gaza Strip. The Walla news site said the plane used by al-Thani during his international diplomatic tour in Europe and the United States had made a secret flight from Italy to Cyprus on June 23, while Liberman was in the island nation where he held talks with his Greek and Cypriot counterparts and with Cyprus’s president. A day later, the plane — belonging to the VIP airline Qatar Amiri Flight — left Larnaca airport and traveled to the United States via Ireland, according to the report. Earlier this month, Channel 10 reported that Liberman had met secretly with Qatar’s envoy to Gaza Mohammed al-Emadi in Cyprus to discuss the Palestinian enclave’s humanitarian crisis and the return of captive Israeli civilians and remains of fallen soldiers held by Hamas. But Walla quoted a senior Israeli official as saying a meeting with al-Emadi would not have had to take place in Cyprus as the Qatari envoy is frequently in Israel. However, a rare sit-down with a high-ranking official like al-Thani required Liberman to travel abroad. Two NGOs sent a letter to key Israeli government and IDF officials on Tuesday, demanding an immediate independent criminal investigation into the August 9 attack that destroyed a building in Gaza and allegedly wounded 24 people. Adalah-The Legal Center for Arab Minority Rights in Israel, and Al Mezan Center for Human Rights sent a letter to Defense Minister Avigdor Liberman, Military Advocate-General Maj.-Gen. Sharon Afek and Attorney- General Avichai Mandelblit regarding the attack on the Mis’hal Center for Culture and Science in Gaza. While the NGOs allege a “grave breach of international humanitarian law... that could amount to a war crime” which requires prosecution, the IDF has said the building also served as the headquarters for Hamas’s interior security operations. Moreover, it said the office was considered an executive branch of Hamas’s political leadership. Many of its members are also military operatives, according to the IDF. It also said the air strike was a high-level retaliation and warning by the IDF to Hamas for a Grad missile fired from Gaza on Beersheba – which was viewed as an escalation of hostilities between the sides. The Supreme Planning Council of the Civil Administration today approved construction of more than 1,000 housing units throughout Judea and Samaria. Almost half of the housing units, about 436, are located in the Samaria Regional Council. 108 units for immediate construction were approved in Nofim, the number of units expected to increase the community sitting in the Nahal Kana nature reserve by more than fifty percent. Also approved for immediate construction were 166 housing units in Tsufim that were planned about 20 years ago; 128 housing units were approved in Barkan, and 96 units were approved for deposit in Kiryat Netafim. However, council head Yossi Dagan is not rushing to celebrate. "We're happy about each and every house in Samaria but the truth must be told, that hundreds of housing units aren't enough for an area that constitutes 12% of the State of Israel, with thousands of requests if not more every year. Some 30,000 people attended the rally, where ‎dozens of Palestinian flags were flown and ‎protesters chanted anti-Israeli slogans, angering many Israelis. It will be introduced as an amendment to existing public order directives in the penal code. Some 10,000 families from the Gaza Strip received a text message on their cell phones stating that a sum of 250 shekels was waiting for them as a grant from Hamas for the Eid al-Adha holiday. "To receive a gift from Hamas of 250 shekels, [go to] Al-Intaj bank tomorrow, Saturday. It is obligatory to bring an identity card," the SMS said. The Coordinator of Government Activities in the Territories, Major General Kamil Abu Rokun, revealed that the text message was sent only to terrorists who are active in the terror organization. "If the Hamas leadership does control the Gaza Strip as it claims, don’t you think it ought to take into account all the residents of the Gaza Strip, regardless of their organizational, party or political affiliation?" he asked in a Facebook post addressed to the Arabs of Gaza. Sanctions that the United States reimposed on Iran have been more effective than expected, President Donald Trump's national security adviser said, although he noted the continuation of regional activity by Tehran opposed by Washington. “Let me be clear, the reimposition of the sanctions, we think, is already having a significant effect on Iran's economy and on, really, popular opinion inside Iran,” National Security Adviser John Bolton told Reuters during a visit to Israel. Iran will target the United States and allied Israel if the U.S. attacks the Islamic republic, a senior Iranian cleric warned on Wednesday, as a war of words following the reimposition of U.S. sanctions on Iran continued to escalate. Ahmad Khatami was quoted by Mizan news agency as telling worshippers at Eid al-Adha prayers in Tehran that U.S. President Donald Trump’s offer of talks with Iranian leaders was unacceptable, as Trump wanted Iran to concede on its missile program and regional influence. "Americans say you should accept what we say in the talks. So this is not negotiation, but dictatorship. The Islamic republic and the Iranian nation would stand up against dictatorship," Khatami said. "The price of a war with Iran is very high for America. They know if they harm this country and this state in the slightest way, the United States and its main ally in the region, the Zionist regime [Israel], would be targeted." Khatami did not elaborate, but Iran has said that if it is threatened it could target Israeli cities with its missiles. Iran also has proxies in the region, including Lebanon's Hezbollah group. A spokesman for Prime Minister Benjamin Netanyahu mocked Iran’s revelation Tuesday of its “indigenous” new fighter jet. But analysts quickly noted similarities between the plane and the F-5 fighter jet, made by Northrop-Grumman in the 1950s. The F-5 was sold to Iran in the 1960s and first entered operation in the Iranian Imperial Air Force in 1965. In the West the F-5 line of jets is largely used for training purposes. The Yemenite website Al-'Asima Online reports that the Houthis are taking advantage of the summer vacation to recruit youths to fight in their militias. To this end, they have established summer camps in Sanaa and other areas under their control, as a substitute for the camps supervised by Yemen's Youth and Sports Ministry, which stopped operating after the Houthi coup. The website stated further that special educational materials have been printed for use in the camps, and presented passages from some of them, which include invective against the U.S., the Jews and Israel. 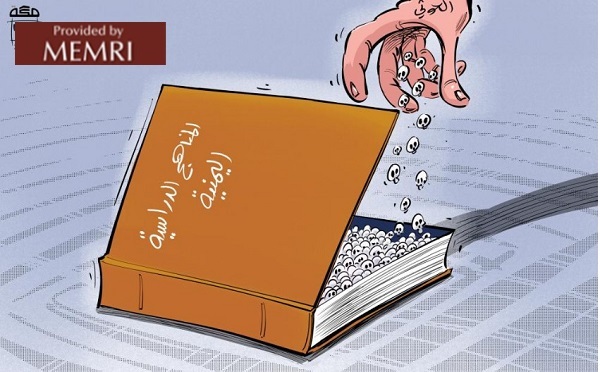 It should be noted that the Houthis admitted that they have changed the school curricula in in the areas under their control. This report reviews some of the examples presented by the Al-'Asima Online website. Reading And Writing Exercise: "Death To America," "Death To Israel"
A reading and writing exercise in one of the booklets requires the pupils to read and copy various sentences. Among them are familiar slogans of the Iranian regime and the Houthi Ansar Allah movement, such as "death to America," "death to Israel," "America is the Great Satan," "curse the Jews," "victory for Islam," and "we are Ansar Allah." Reading Exercise: "We Shall Not Succumb To America," "It Will Surely Perish Today"
Another example is a poem titled "Husseinis" (referring to the Shi'ites, who regard themselves as the loyal followers of Imam Hussein bin 'Ali, the grandson of the Prophet Muhammad). The poem stresses the willingness to sacrifice one's life for the sake of Allah, Muhammad and Islam, and it too contains expressions against America and the Zionists.